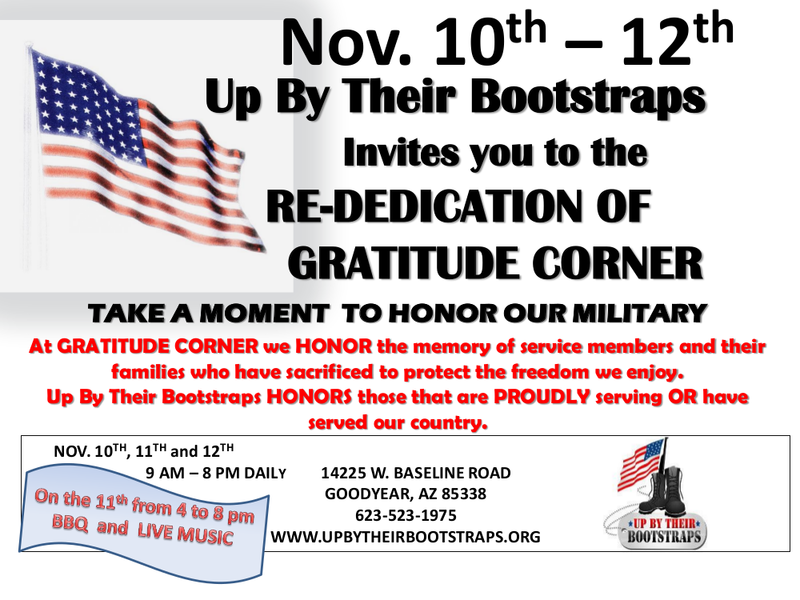 Up By Their Bootstraps invites you to the re-dedication of gratitude corner! Take a moment to honor our military. At GRATITUDE CORNER we HONOR the memory of service members and their families who have sacrificed to protect the freedom we enjoy. Up By Their Bootstraps HONORS those that are PROUDLY serving OR have served our country. Live music performances by Cory Leone Johnson Nov 10th & 11th!